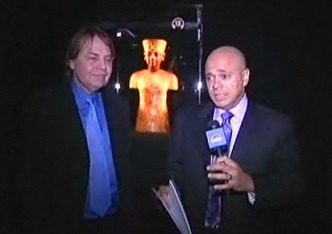 David Ushery talks with the curator of the King Tut exhibit in times Square. 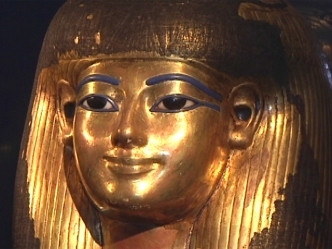 Workers put a replica statue of the Egyptian God of the Dead, Anubis in place in Times Square. 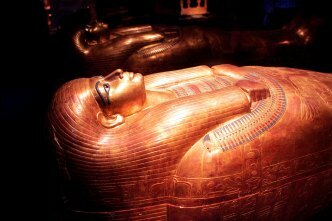 The curator of the new King Tut exhibition in Times Square drops by NYNN to tell Chuck Scarborough what's new in this ancient exhibit.